You have probably already heard about Windows Insider, a program for providing feedback and shaping the future of Windows on client devices – not that I did not say “Windows 10” because the Insiders program will live beyond the RTM of Windows 10 this summer. Storage Spaces advanced tiering: I like the idea of bringing a cloud tier to Windows Server, instead of reserving it in the silly StorSimple appliance. I don’t agree with restricting it to Storage Spaces. Create a Hyper-V Cluster without AD: Imagine a HYPER-V world (don’t let the SQL heads muddy the waters) without Kerberos!!! Simple SOFS, simple Live Migration, and yes, System Center would need to catch up. VM Placement Without System Center: Even those who can afford or want to deploy SCVMM often choose not to enable Dynamic Optimization. Let’s bring this feature into Windows Server, where it belongs. New integrated UI for Hyper-V: Let’s replace Hyper-V Manager, Failover Cluster Manager, and SCVMM with one integrated Hyper-V tool that is a part of Windows Server. The cloud folks can use Azure Stack. SCVMM is broken, and the experience is fragmented. Everyone agrees except fanboys and SCVMM team members. 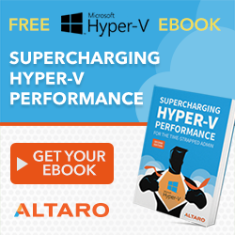 Change how Hyper-V Manager creates VM folder structure: Sarah, Ben & Taylor – if you fix this, I guarantee a round of applause at the next Ignite. This is the CMD prompt CTRL+V of Hyper-V. 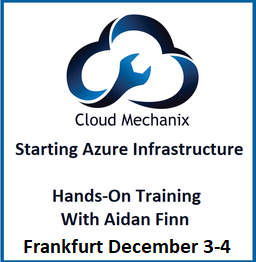 This is your opportunity to shape Windows Server. I’ve had that privilege as an MVP – it’s not always immediate but there are headline things in WS2016 that I’ve contributed some feedback for and it feels damned good to see them presented on stage. You can feel that too. If you choose to stay silent, then please stay that way when you’re unhappy.